Facebook’s stock dropped 18.96% today. Zuckerberg lost zillions, and dropped in his rank as the richest men in the world. Poor Zuck. Ok, stop crying your crocodile tears for him. He’s still a zillionaire and a very bright guy. But he has problems and so does Facebook. Problems that are deep enough to cause a drop in engagement and a drop in the stock. Problem #1. The newsfeed. The Facebook newsfeed is crowded, VERY crowded. So any time any of us logs in to Facebook, we see just a smidgen of the content posted by our friends an family. We see hardly any content from companies and brands we follow. It’s very very crowded and fast-paced. Facebook has done literally ZERO to increase the real estate. Rather than having us spend MORE time on our newsfeed (deepening), they could try to broaden it such as add (and promote) features to check out brands, local businesses, reviews and what not. These things exist already but few people (if any) know how to access them. What this means for advertisers is that more and more of them are competing for less and less space in the newsfeed – driving up rates and driving down engagement. So no one is happy. Problem #2 – Brand Organic Reach. Zuckerberg decided to throw brands under the bus, cutting organic reach for brands to essentially zero. 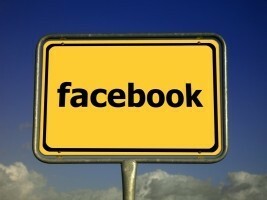 So then why should a brand work on Facebook engagement? If the users won’t see the post, then why bother? Better to build your own email list, or your own website than to build your Facebook page, right? Problem #2b. Demographic Data. Related to this problem is that because Facebook killed Brand engagement, brands aren’t really promoting their Facebook Pages any more and Facebook has less and less demographic (saleable) data on its users. Zuckerberg can’t have it both ways. He can’t de-emphasize brands and yet expect brands to help Facebook “for free.” So over time Facebook knows less and less about you and me as consumers, and its data becomes less and less valuable. Should you think these problems are unique to Facebook, think again. #1 and #2 both apply to Instagram as well (especially #1). Over time, my prediction is that they’ll apply to #2 as well. And Facebook has a political problem too. It’s under the gun in the United States and Europe for political and privacy issues, tarnishing the brand and making it harder for Facebook to gain information on users. Facebook has a lot of problems and today’s really horrible no good rotten day is as much a reflection of them as a prediction of more troubles to come.